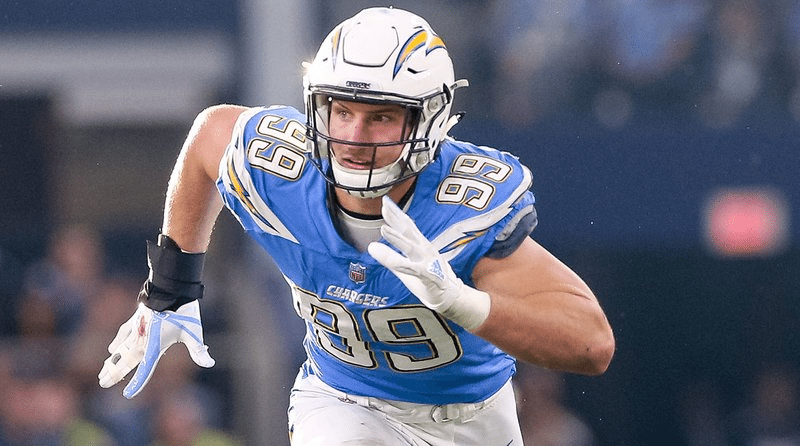 Los Angeles Chargers Defensive End, Joey Bosa, participated in the NFL’s My Cause, My Cleats campaign where players can wear cleats showcasing their philanthropic cause of choice. After meeting Children’s of Alabama patient, Sean Fredella, while he was in the middle of one of his battles with cancer, Joey and Sean kept in touch. 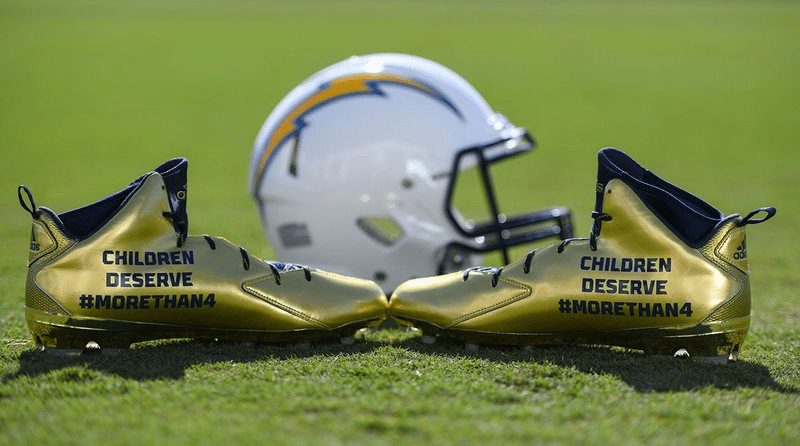 Bosa took the opportunity to support Sean’s “More Than Four” campaign by letting him design his gold cleats to raise awareness for pediatric cancer research efforts. Read more about Joey and Sean’s story HERE.